One of the biggest casting decisions made by BBP was to purposely develop one of the starring roles to play opposite Michael Biehn in FEMBOT. 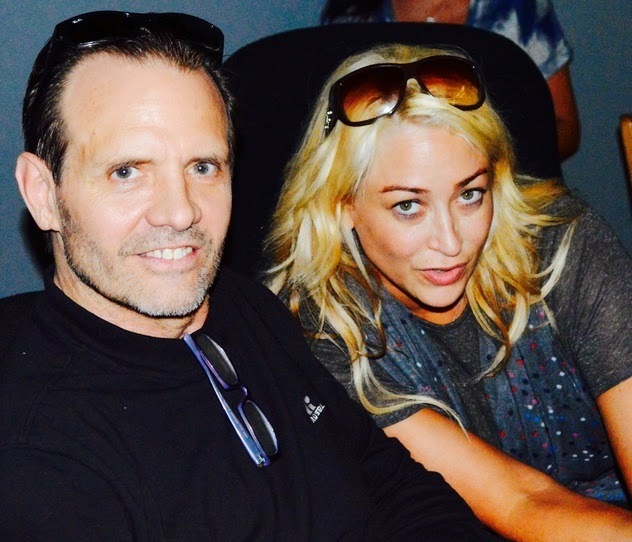 Michael Biehn and Jennifer Blanc Biehn were recently recognized by the Vienna Film Ball committee for their achievements on the BBP feature THE VICTIM, and awarded the prestigious 2014 Vienna Film Ball Award for the picture. During their visit, the couple met European actress and Penthouse Pet Nikita Black, the inspiration for the leading role in FEMBOT. Jennifer Blanc Biehn will play ‘Bridget’ and the film will also now showcase in a supporting lead role dancer Tristan Risk. Who starred in Soska sisters American Mary and recently starred in 2 Blanc Biehn Films and also is showcased in back to back penthouse germany cover to Jennifer Blanc Biehns May 2014 cover . FEMBOT is based on a not-too-distant future where citizens can opt out for a female robot companion designed exclusively for the buyer. Thanks to the scientific advances, Fembots are lifelike, responsive, warm, and a dream come true. Wealthy entrepreneur Zayden Beckett (Michael Biehn) can’t wait to invest, but things go terribly wrong. Blanc/Biehn Productions will host an audition competition and select one lucky film fan for a small in the upcoming BBP thriller FEMBOT. Visit www.thebbbasement.com to register for this opportunity. For more info, check out www.thebbbasement.com. BBP recently wrapped filming FETISH FACTORY, a thrilling and sensual horror suspense film, with a heaping helping of vintage burlesque bawdiness. Stay tuned for the North American release of TREACHERY this fall. In TREACHERY, an already strained father-son relationship is put to the test when the past comes to haunt the father. A momentary indiscretion turns in to a nightmare for the family that finds out those deep roots hold deeper secrets.